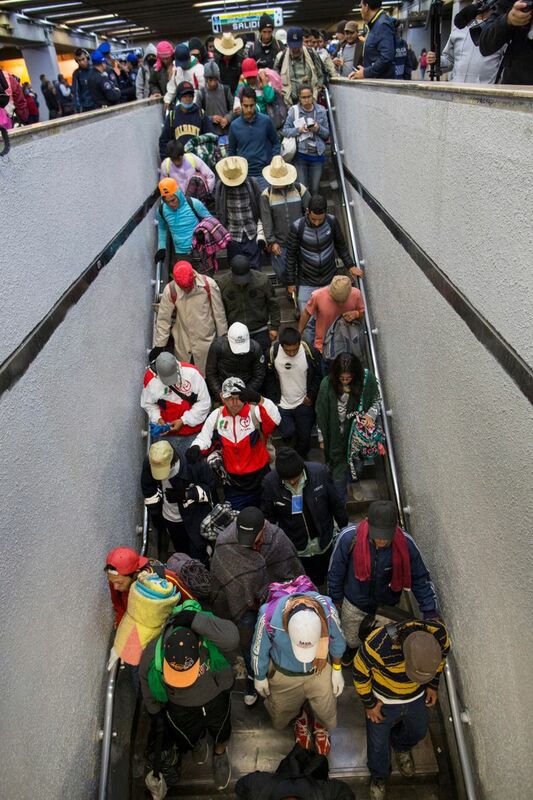 MEXICO CITY (AP) — About 900 Central American migrants headed out of Mexico City on Friday to embark on the longest and most dangerous leg of their journey to the U.S. border, while thousands more were waiting one more day at a massive improvised shelter. 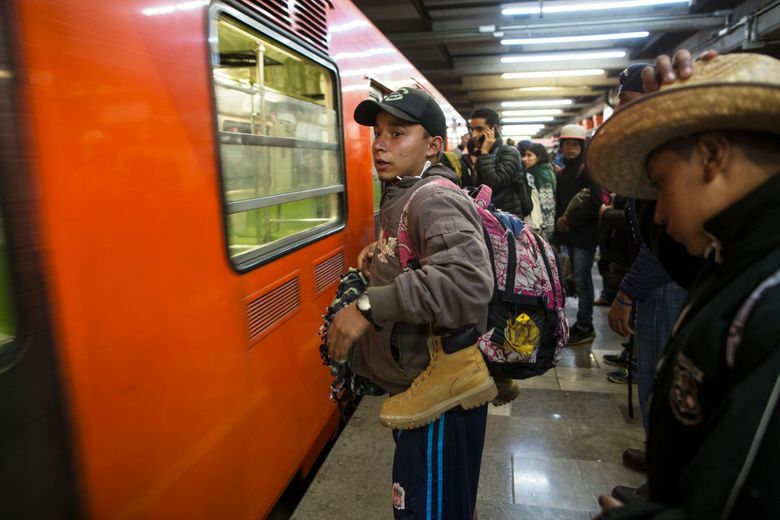 Ninety percent of the remaining migrants will depart the stadium early Saturday on their long trek to Tijuana, first taking the subway to the northern exit from Mexico’s capital, according to Nashieli Ramirez, director of Mexico’s Human Rights Commission. 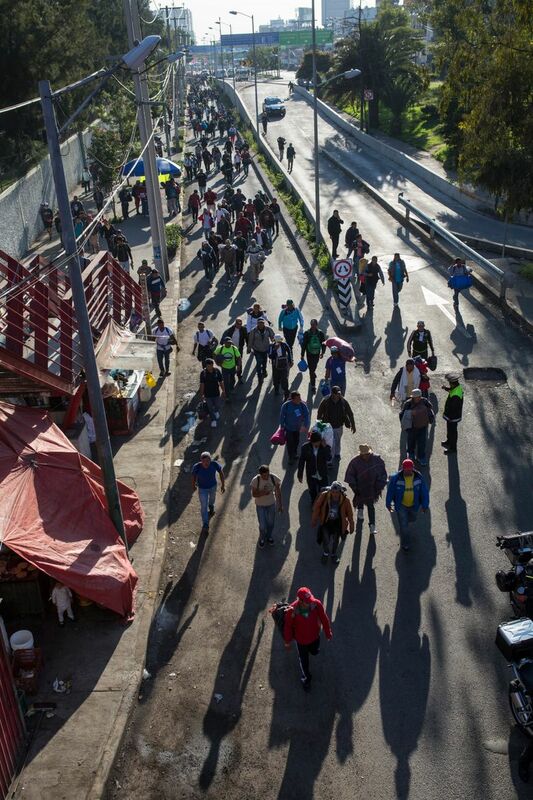 The governor of Queretaro state, Francisco Dominguez, said the migrants would stay at Corregidora stadium in the state’s capital and that authorities were ready to host 4,000 people. Caravan coordinator Milton Benitez said officials had offered them buses for women and children but organizers demanded that they be for everyone. By Friday, the migrants said they were so angry at the U.N.’s lack of help that they no longer wanted U.N. observers with the caravan.